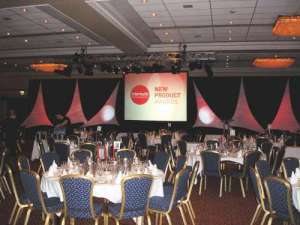 Unity Conference & Events Ltd. Unity was started by Jon and Matt, who together have over 15 years of experience in the conference and events industry. Working together at Unity we are able to give our full dedication and professionalism that each and every client deserves. Our diverse skills and combined strengths, enable us to concentrate on building strong and trusted relationships with each of our clients. From the moment the venue is decided, we will provide scale set drawings and back drop designs. We will use our experience from a small intimate gathering of 30 people, to a corporate dinner dance for over 1000 people, to create your perfect event. As well as the preparation, we want your event to run smoothly and for you to be able to enjoy your own event, leave any worrying to us. Most importantly we will work with you to develop the organisation of your event, to ensure it reflects a prestigious image of your organisation.